Today’s Then & Now was put together by Cassidy Zachary. Cassidy recently graduated from the program and will start a job in New Mexico, where she will oversee a collection of costume and textiles. It means she is leaving NY! We hope that she will continue to contribute to the blog, and in any case she will be missed! We wish her all the best in her new adventure!! 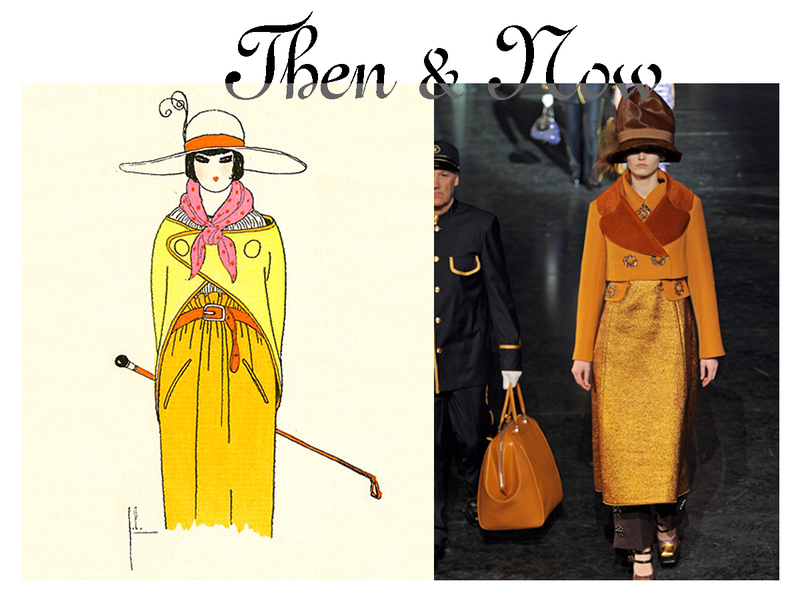 This entry was posted in Then&Now and tagged fashion illustrations, Gazette du bon ton, Georges Lepape, Louis Vuitton, Marc Jacobs. Bookmark the permalink. Per usual I like the before, the illustrations in Gazette du Bon Ton are amazing and nothing can measure up. Thanks for the send off Keren!